Total BC is widely recognized as helping small business owners reduce costs and improve efficiency with their phone systems. With over 4000 clients in the Carolina's you can trust that we have the right products, technology and solutions to improve your present business phone communication. Total BC takes a personalized approach with each customer, to listen and learn to their specific goals and then create a custom solution to help fulfill their technology challenges and improve their business phone systems. Business Class Hosted VoIP "CallNet"
Are You Looking For A New Phone System For Your Business? A good majority of our clients are just looking to upgrade their current service to a more reliable one. With over 4,000 satisfied customers, we guarantee we have a solution for you! Whether you are looking for better phone, internet, or private network solution, you can trust that we have the right solution customized just for you. Whether you have 5 or 500 telephones, TotalBC has the experience and knowledge to assist. Below is a list of the phones we service and support, if you do not see your phone listed, just contact us! At TotalBC, we provide discounts for common areas of lesser phone usage, such as conference rooms, lobbies, etc. Call us today for a quote including free phones and common room discounts. Our pricing plan includes hosted VoIP service, an extensive list of standard features, and comprehensive service & maintenance. Comprehensive Business Phone Systems Solutions Custom To You! 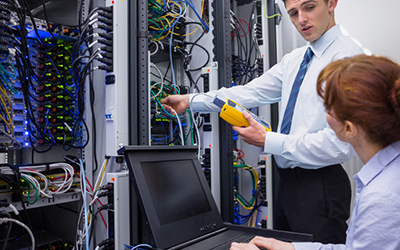 We provide manufacturer certified replacement parts for the majority of major telephone systems, and world-class technical support to our customers to back up our highly recognized service. We can upgrade your system to a new traditional or VoIP system and provide you with reliable business phone systems. Our expert engineers and technicians will work with you to determine the right solution for you and your business, regardless of its size.